Why do we punish? Is it because only punishment can achieve justice for victims and 'right the wrong' of a crime? Or is it justified because it reduces crime, by deterring potential offenders, offering rehabilitative treatment to others and incapacitating the most dangerous? 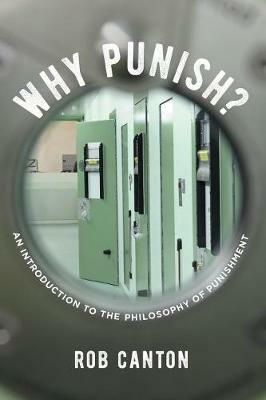 The complex answers to this enduring question vary across time and place, and are directly linked to people's personal, cultural, social, religious and ethical commitments and even their sense of identity.This unique introduction to the philosophy of punishment provides a systematic analysis of the themes of retribution, deterrence, rehabilitation, incapacitation and restorative justice. Integrating philosophical, sociological, political and ethical perspectives, it provides a thorough and wide-ranging discussion of the purposes, meanings and justifications of punishment for crime and the extent to which punishment does, could or should live up to what it claims to achieve.Why Punish? challenges criminology and criminal justice students as well as policy makers, judges, magistrates and criminal justice practitioners to think more critically about the role of punishment and the moral principles that underpin it. Bridging abstract theory with the realities of practice, Rob Canton asks what better punishment would look like and how it can be achieved.